North Central WV Airport to begin offering Saturday flight to Washington, D.C.
WESTON, W.Va. - Six people are facing distribution charges following a drug round-up in Lewis County on Wednesday. Matthew Duncan, 22, has been charged with two counts of delivery of methamphetamine. Stephanie McCue, 36, has been charged with two counts of delivery of methamphetamine. Ashley Bailey, 31, has been charged with one count each of delivery of methamphetamine and conspiracy to commit a felony. Lucas Buckhannon, 36, has been charged with two counts of delivery of methamphetamine and one count of conspiracy to commit a felony. Joshua Breeden, 30, has been charged with two counts of delivery of marijuana. Charles Sills, 61, has been charged with one count of delivery of oxycodone. Deputies said McCue and Sills are both in custody, according to Sheriff Gissy. Gissy also said most of the people targeted in the bust have been dealing in meth, which is the latest drug of choice in the county. "It's unfortunately cheaper. The high they get is greater, and it's more accessible, so that's really what we're focusing our attention on, and hopefully we're going to be able to make an impact to where we'll get that out of the community or for the most part out of the community," Gissy said. 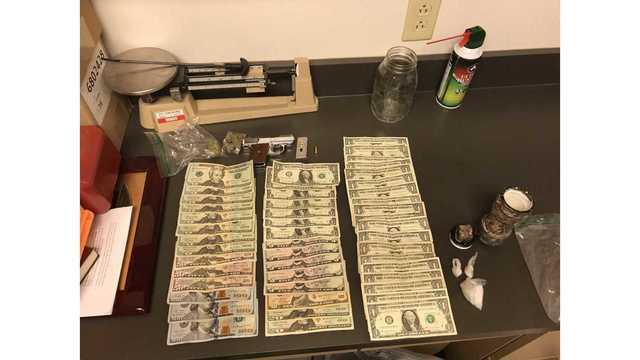 Deputies also conducted a traffic stop early Wednesday morning where they seized cash, 12.61 grams of methamphetamine and 4.7 grams of marijuana. The man from the traffic stop, Douglas Bowser, has been charged with possession with intent to deliver methamphetamine and marijuana. Below is a photo released by the Lewis County Sheriff's Department of the items seized during this traffic stop. “We believe that enforcement efforts like today's will minimize the amount of drugs found in our community, and hopefully serve as a revelation to those continuing to partake in the drug trade," Sheriff Gissy said.